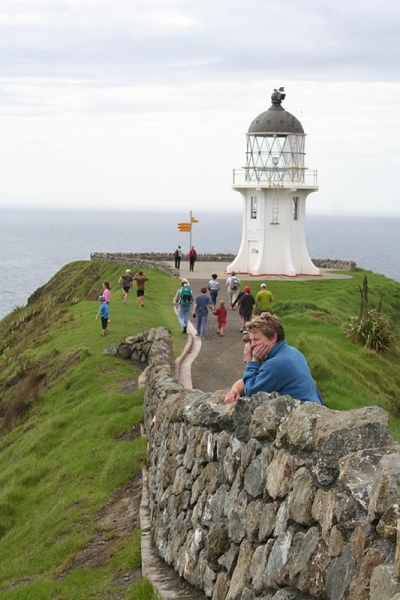 Cape Reinga (Te Rerenga Wairua) is one of the Far North region’s most iconic landmarks with its serene beauty. It is a 45 minute drive from the holiday park and is the first stop in your drive north. Te Rerenga Wairua is a sacred site for Maori people. It is only there that the souls of the departed undertake their final journey to Hawaiiki-A-Nui, the land of their ancestors. Information signs that share the stories of this area along the path, and you can feel this spirituality as you walk down towards the seas. 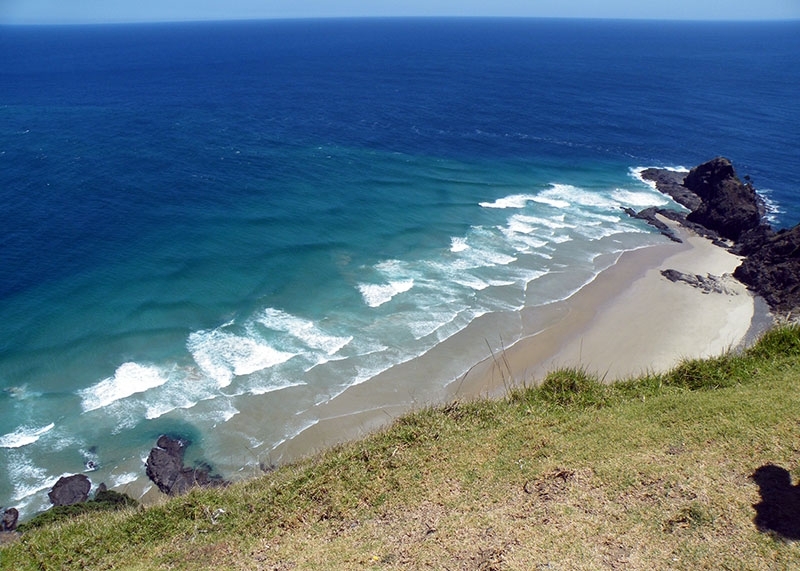 Watch the division line of Tasman Sea’s turquoise waters clashing with the Pacific Ocean’s darker blue waves. 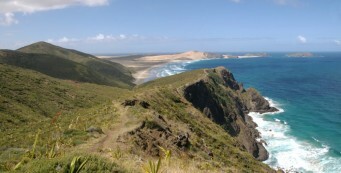 On a clear day, the Three Kings islands and Cape Maria Van Diemen can also be seen. The historical Cape Reinga’s lighthouse built in 1941 stands 165m above sea level. The lighthouse was manned during WWII and up until 1987 when it was fully automated. 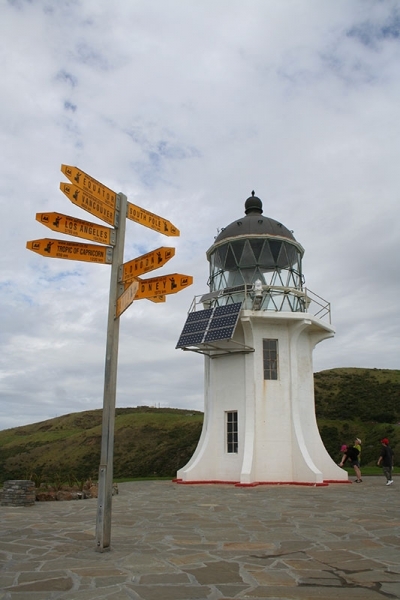 Its beacon is solar powered and can be seen 35km out to sea. 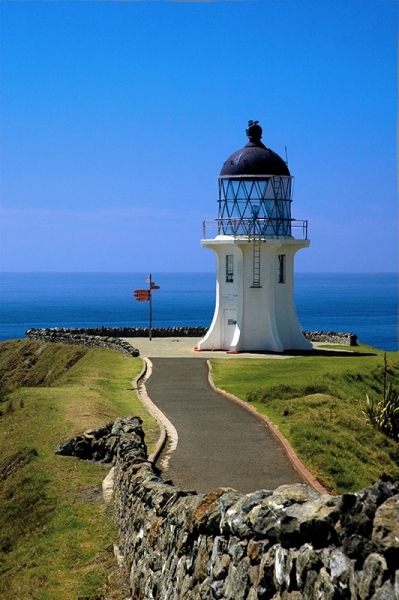 Today, it is one of the most visited and photographed New Zealand’s lighthouses. 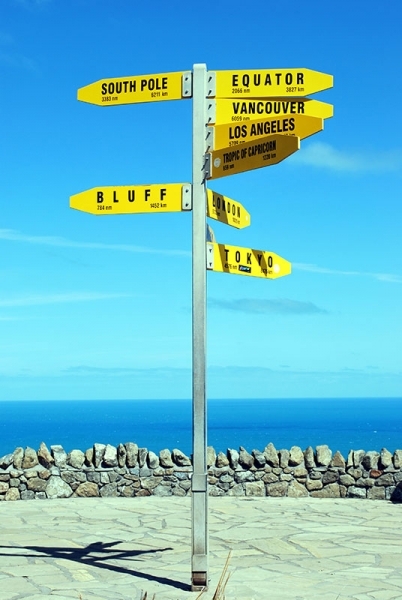 Standing beside the lighthouse is the international sign post giving distances and direction of other world cities. 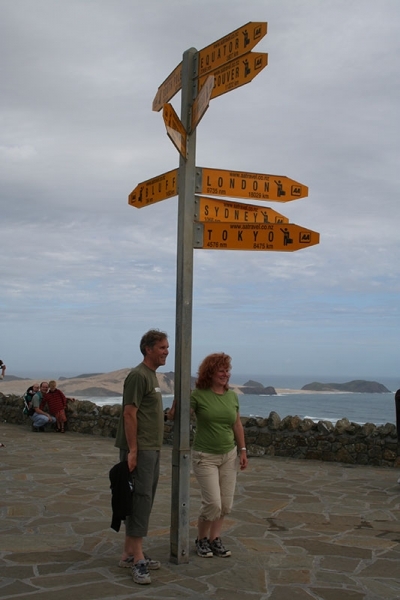 This is a favourite photo opportunity for tourist and is a distinctive Cape Reinga image. 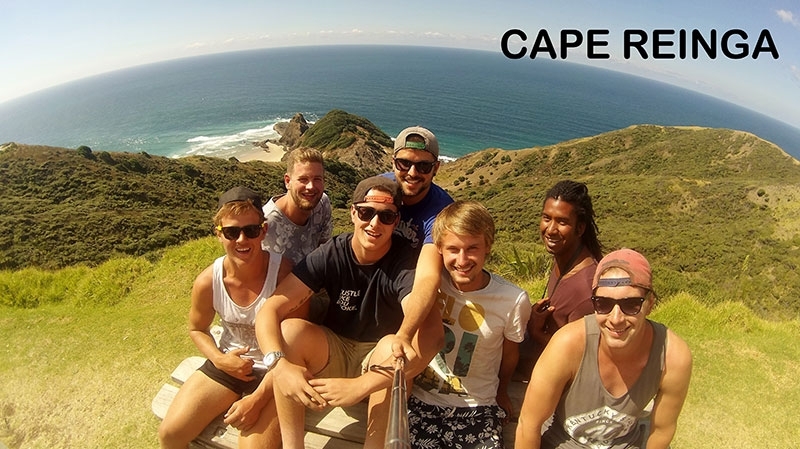 Cape Reinga is the ultimate northern New Zealand experience. See two oceans collide in a spectacular visual feast and discover the spiritual ‘place of leaping’, where Maori spirits begin their final journey. At the Cape the Tasman Sea meets the Pacific Ocean, in a spectacular swirl of currents. At the northernmost tip of the cape is a gnarled pohutukawa tree, believed to be over 800 years old, and according to Maori oral history, the spirits of Maori deceased leap from this tree into the ocean to return to their ancestral homeland of Hawaiki.